This unique Delfts Blond vase is 20 cm high and made of pottery. With a nice bouquet of flowers - tulips, for instance - this vase creates a warm atmosphere on your dinner table, during breakfast, lunch, and dinner. 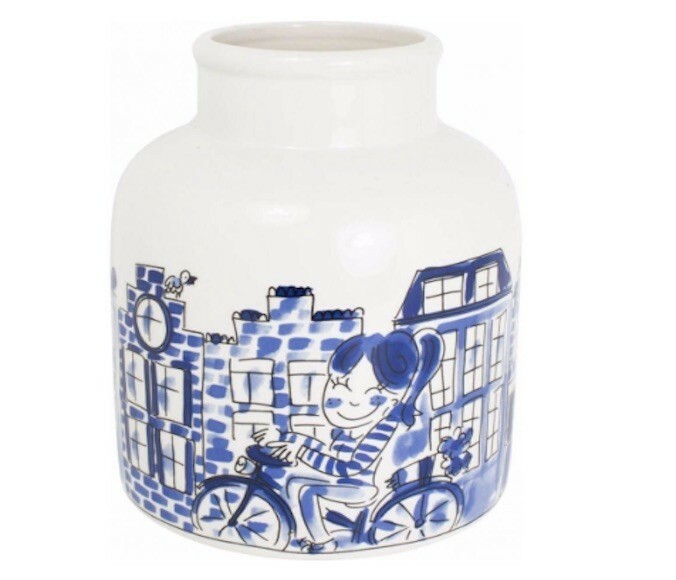 This playful vase from the Delfts Blond series by Blond Amsterdam is made of pottery. The vase is 20 cm high and has a diameter of 15,5 cm. 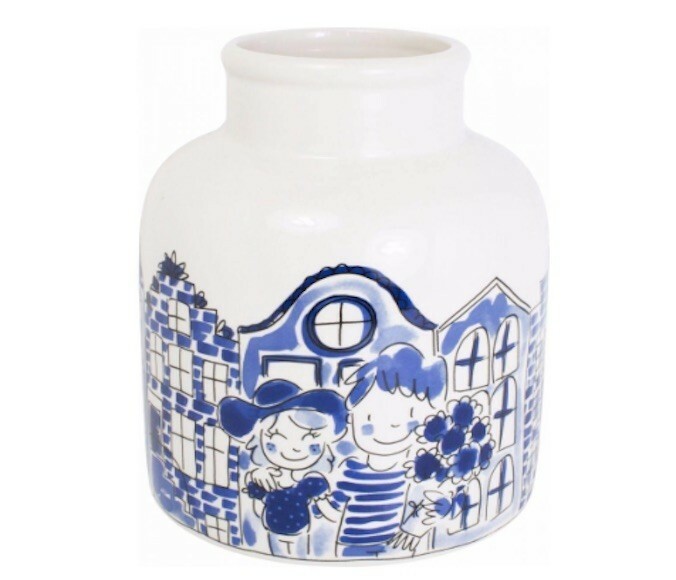 The vase is painted with a funny, typically Dutch scenes on a background of characteristic Dutch canal houses. With a nice bouquet of flowers, tulips, for instance, this vase creates a warm atmosphere on your dinner table. 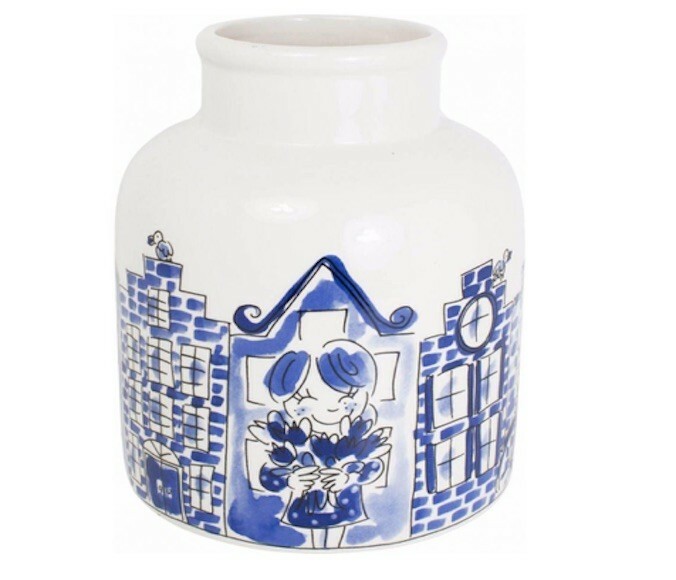 This vase from the Delfts Blond series can be easily combined with the cup and saucer, the mini mug, the milk jug, the teapot, teaspoons, and sugar pot in the Blond Amsterdam series to complete your lunch or breakfast tableware.